In 1998, we released our debut product, IA1. We sold them online and via mail order catalogs, before structuring a deal with NBCi (formerly Xoom.Com) for the product to be sold to their subscriber base at a heavy discount. We received great response for this initial product and gained important market research data. 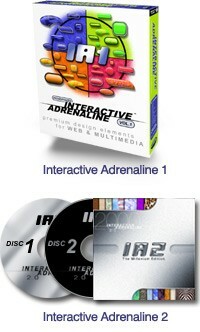 In the year 2000, we released our follow up in the IA series, Interactive Adrenaline 2. It was well received and is a much stronger product than IA1. IA2 featured many more images, rendered as better optimized, higher quality .gifs, and featured an improved user interface. NBCi made the decision in late 2000 to discontinue email sales, and as such dropped our product as well as all of their other vendors products. These included Epson printers and others. Modomedia took a step back and re-considered the industry and sensed that the need for this type of product was shrinking and a new need was taking its place. A more complete service that would yield a much higher quality output. A premium quality website builder. Please check out SiteSkins.net for more info on our new service!